I’m not going to beat this bush or its adjacent areas any more than necessary. EBXL for 1.7.10 is ready for people to play with. This is still beta quality, so YMMV. There may be bugs. Not all config options are guaranteed to work. If you have problems or observe any weird glitches, please let us know. Using your latest release on FTB unstable, as well as a couple other FTB and private packs. I get terrible worldgen lag, often freezing up the game for a few seconds as well. Making you aware of the problem, so you could debug it at your end. As our post says EbXL is still beta and has a number of errors that I will be working on the weekend. * Crashing issues for redrock slabs due to the recipe being registered prior to the block being registered. * Quarter logs not dropping items when broken due to how block id’s are no longer used. * Forestry api has changed and as such what we have in place is no longer valid. 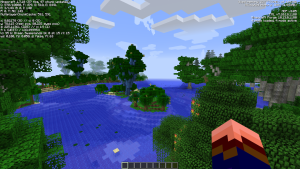 * I need to compare the old vanilla biome settings for height to see if they changed in 1.7 and then correct any biomes on our end, as the extreme jungle has had issues from what I have been told though I have not found one in my debugging worlds. Do you have an alternative download to Google Drive? It’s over quota and won’t allow downloads. I don’t see any issues over on Google drive, but the Release Candidate that we just pushed out is also available on Curse.